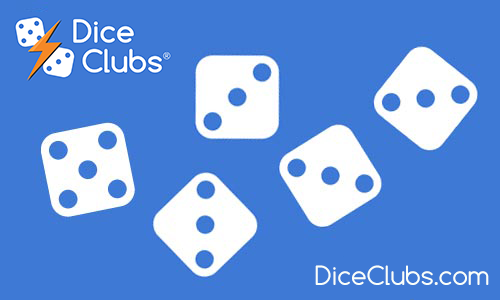 Dice Clubs rules : Play Dice Clubs! 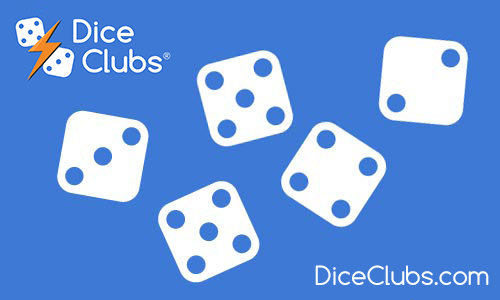 Dice Clubs is multiplayer fun for the entire family and dicing fans worldwide. 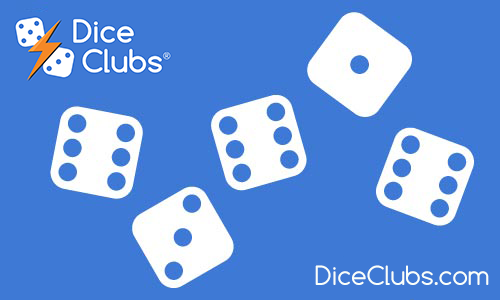 Play Dice Clubs online with your smartphone or tablet. 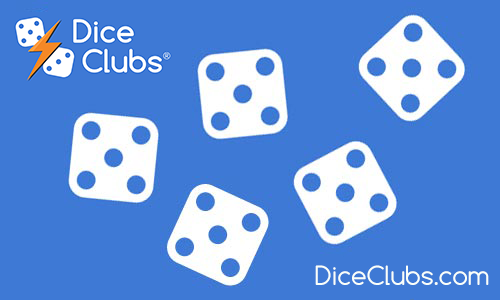 Dice Clubs from b-interaktive GmbH, is a mobile version of the classic game. 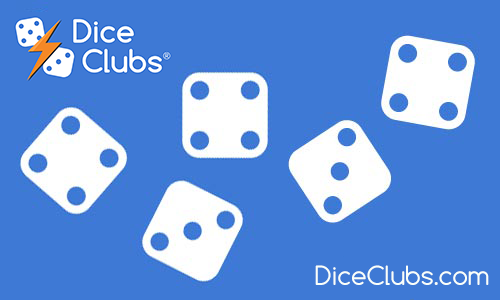 Dice Clubs is turn-based and allows you to play with up to four people at the same time. Tap on one of the three dice cups to roll the dice. Then tap on the cup again or shake your device just like you would real dice. Subsequently, you can select the dice you would like to keep. You can use the dice that remain on the playing field for your second and/or third roll. After the installation, it is advisable to connect to Facebook or G+ so that you do not lose your game progress if the app is reinstalled. If you do not wish to use Facebook or G+, you can also register using a user name and password. This allows you to use your account on a second device, e.g. a tablet or smartphone as well. Share your user name with your friends via text message, e-mail, or WhatsApp so that they can easily find you in the online game via the “Search for players” mode. Quick Game: Sign up for a quick game with up to three other fellow players. A game usually lasts around five minutes. 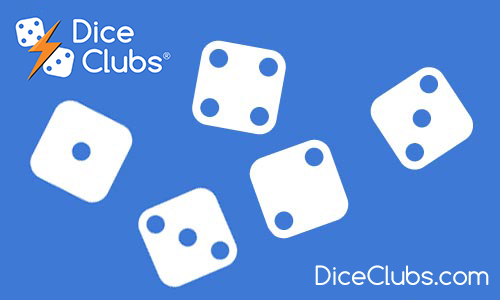 Dice Duel: ATTENTION! You can win a lot of diamonds in this mode. But you can lose some as well. Random opponent: Play with a random player. Friends: Play with multiple friends of your choosing. Search for players: Search for a player via his user name or e-mail. 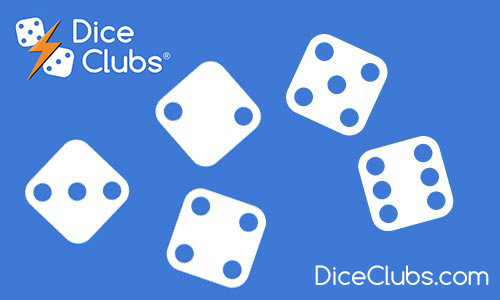 Invite: Invite friends to play Dice Clubs with you. Roll the dice wisely to achieve the maximum number of points on the scorecard. The players roll the dice in succession once per round. Each player can roll the dice up to three times. The first roll takes place with all five dice. After that, you can decide how many dice you would like to use when rolling for the second and third times. To do so, you tap the dice that you would like to keep and only roll those that you no longer require in order to achieve the best possible result. This allows you to attempt to improve your result with the 2nd and 3rd tries. You don’t have to always roll three times! Your turn ends when you select one of the score fields in the upper section of the screen. Whether you do it after your first, second or third roll is entirely up to you! Chance with 21 points. Sum of the values on all the dice. Select any box. Enter 0 points in this box. Tip: Pay close attention to the game. Depending on how the game progresses, it may be strategically prudent to enter a zero in a box in order to achieve higher points in another box later on. Have a look at the Turn Summary to plan your next move. The scorecard consists of an upper and a lower section. The upper section contains the boxes for Aces, Twos, Threes, Fours, Fives, and Sixes. If you decide to enter the result of your dice roll here, all the points corresponding to the value of the box will be added up and entered here. In order to receive the 35-point bonus, you will need to achieve at least 63 points in the entire upper section. You will require at least three of the same number. All the points of the dice roll (not only those with the same number) are added up. You will require at least four of the same number. Here too, all points of the dice roll will be added up. A Full House consists of three dice of one number and two dice of another (e.g. three fours and two threes). 25 points are awarded for a Full House. Four sequential dice. The fifth die can show any number (e.g. 1, 2, 3, 4, 3). A Small Straight is worth 30 points. A Large Straight consists of five sequential dice (e.g. 2, 3, 4, 5, 6). A Large Straight is worth 40 points. A 5x occurs when all five dice are the same. It is worth 50 points. Most importantly, you have to fill your 5X field with 50 points first (you have to score the first 5X before you can score second, third and subsequent ones). If you already have an entry on your scorecard, but the corresponding box (upper section) is still free, you receive 50 additional points. You then enter the corresponding points (e.g. for a 5x with fives: 25 points) in the (5) box in the upper section and 50 additional points are noted. If you already have an entry on your scorecard, as well as in the corresponding box (in the upper section), you are allowed to use this roll for any other roll of your choice in the bottom section. You can award yourself 40 points for a Large Straight, for example. However, if all boxes in the bottom section are taken, a subsequent 5x means that an upper section box must be sacrificed. A zero is entered. For Chance, all points of the dice roll are added up. It gives you the opportunity to use a failed roll to obtain points even when it does not fulfill any of the aforementioned conditions. The game ends as soon as the last box is filled in by the last player. All the points are now added up and the players are ranked according to their score, from first to fourth place.